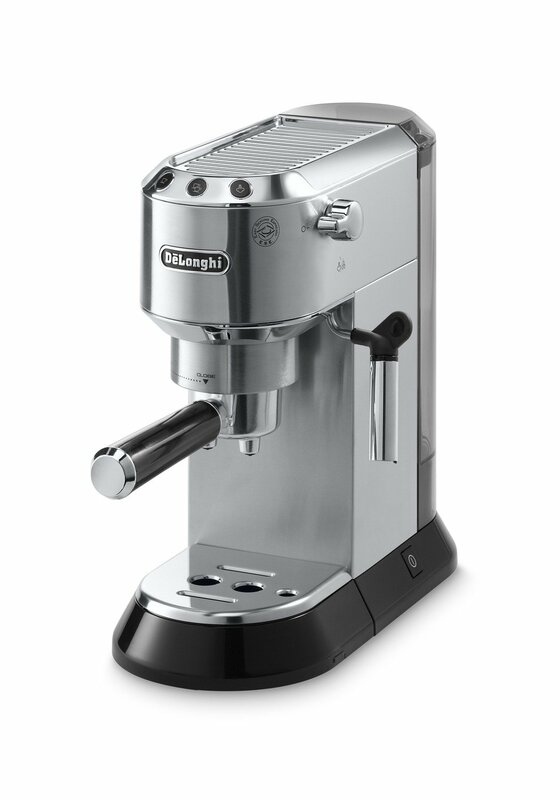 In today’s article, we are going to closely compare two models from the DeLonghi line of products. We’re going to take a look at the EC680 and the EC155 and try to find out which one is better and why. As we all know, no two models are the same, even if they are made by the same manufacturer. However, this only makes it even more important for us to judge the products properly, so as to be able to find the one that would serve us the best. So, we are going to take a look at what each of these models offers and then we are going to find out the main differences between the two based on those features. We hope that this article will at least help you learn something new that will help you on your quest to find the best model for yourself. So, are you ready? Then let’s get started already! What are the main features of the EC680? machine is available in 3 colors: black, red and stainless steel. You can easily choose the one that compliments your kitchen the best. The price of the model varies based on the color that you choose, so keep that in mind. This machine has also been specially designed to be fit for counter-tops. This machine takes up only six inches of space to keep and, as such, can easily be placed anywhere, including in storage. The Thermo Block technology helps this machine to heat up your coffee quickly and evenly. This machine also has a manual frothing system that adds a little bit to your hassle. It’s not as automated as it could have been. It is important to note that there are a few complaints about this machine as well. People say that this is fit for only preparing cups and not ground coffee- something that needs to be considered. This machine is one of the higher end ones and is not the best option if you’re on a conservative budget. What are the main features of the EC155? The EC155 is the highest selling DeLonghi Coffee maker out there and it is also the most loved. And the reason why this is can easily be found if we just take a look at the main features that this model offers you with, which, I must admit, are so lucrative that just about anybody would fall in love with this model. The patented dual-function filter holder deserves credit for making the whole process a lot faster and a lot more efficient at the same time. The swivel jet frother serves to give your cappuccino or espresso the perfect froth that makes it complete for you! You’re also free from the hassle of having to prepare the machine at the beginning because it comes up with the self priming option that has become a necessity now. Two separate thermostats controlling water and steam ensure that the perfect temperature and pressure will be maintained during the making of your coffee/espresso/cappuccino. The high-quality stainless steel boiler and 15 bar pump pressure ensure that this machine will be living with you for a long time. This machine has a smaller capacity than most of the other Products of DeLonghi- it can only boast of a capacity of 35 ounces. This machine is actually a low-end product. While it isn’t the most well equipped, or even the most aesthetically pleasing, model that you might want to go for, this is one of those models that almost everyone can go for. 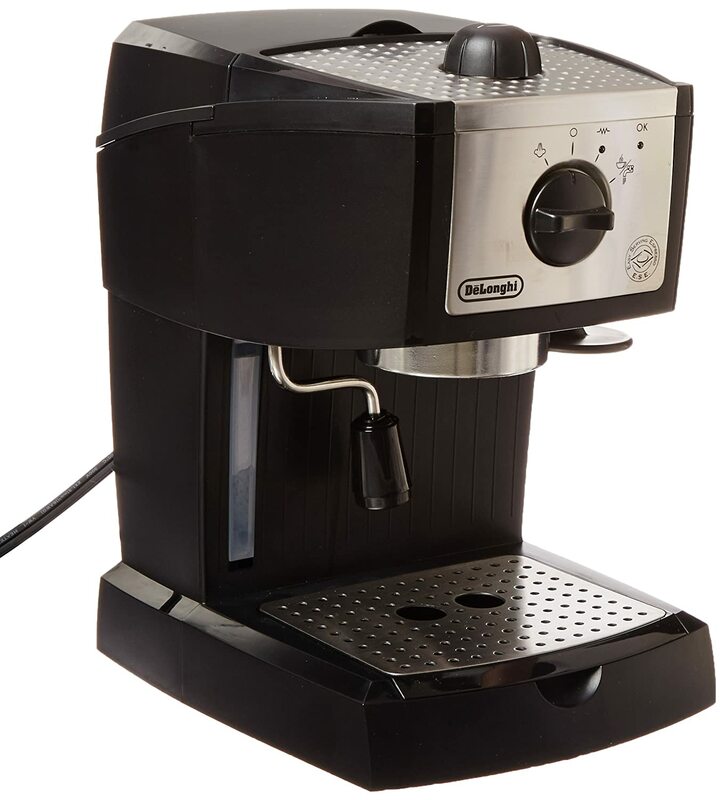 That is one of the main reasons why this model is loved so much and has been sold so much more in comparison to the other products that are available from the DeLonghi line. So, as we just saw- these two models are fairly different. So, let us now list down their differences and take a look at them more clearly, so that we can find out which one is better equipped for whichever purpose you might have in mind. The EC680 clearly lays more emphasis on aesthetics in comparison to the EC155. As such, the EC680 has an unique look and is available in black, red and stainless steel colors. The EC680 is also a much more counter-top friendly product. While both the models can only prepare one cup at a time, the EC680 only takes six inches of space to place and is much easier to both keep on a table or counter-top and to store away for future use. The EC155 has two separate thermostats for steam and water, which is something that’s lacking in case of the EC680, so it might be safely assumed that the EC155 has an advantage in preparing your coffee in the way you want. The EC155 is much more affordable in this case. As such, it can be said that the EC155 is a better option for you if you’re on a conservative budget. At the end of the day, know that all models, even those not listed here, are available for you and you have to judge them to your satisfaction and choose the one that serves you the best. Know that the best model for you isn’t the model that’s selling the most in the market, but the one that serves all your needs at the most reasonable price. You must judge every model according to your needs to be a smart shopper! Gamble Bay Coffee is here for you and we will help you with more articles like this to help you on your quest in finding the best model for yourself. Don’t hesitate in reaching out to us if there’s anything that you would like to discuss. We hope you at least learned something new from today’s article ad we look forward to having you with us again soon!